"WelcomHeritage Traditional Heritage Haveli, located in Bani Park, is one of the most popular heritage hotels in Jaipur, Rajasthan. This property is placed quite close to the city centre as well as the railway station and airport of the city. 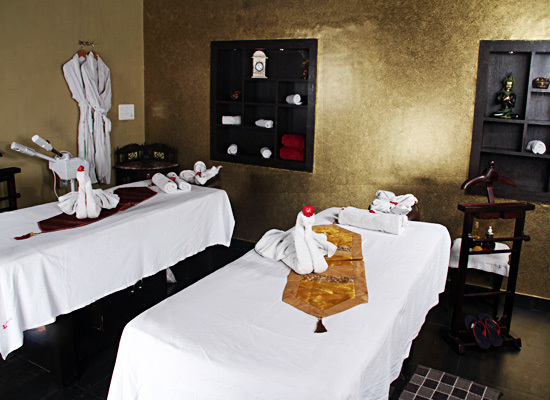 The guests can have a comfortable stay amidst all world-class luxuries, perfect for enjoying a treatment like an Indian Maharaja. This Haveli was commissioned by Rai Sahib Laxmi Pati Singhania in the latter part of the 1940’s. It was his private residence till 1956. However, in 1958, this property was bought by Badiyal Thakur. 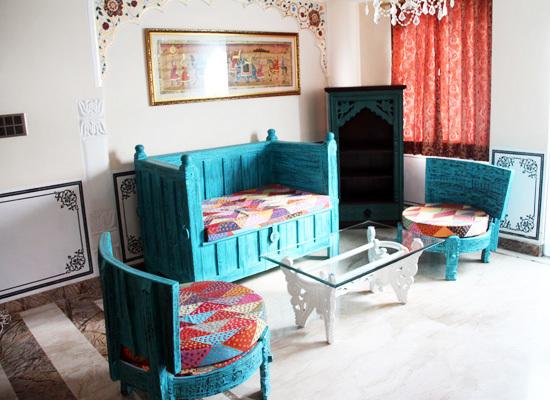 Initially, he kept it for its personal guests but later, he converted it into a heritage hotel. In 2012, modern up-gradations were made by present owners Bal Mukund Goyal and Dinesh Goyal of Lisadiya Village in Sikar district. The capacious and air-conditioned deluxe rooms come with a huge queen-sized bed and boasts of a wonderful décor. The other comforts of the room include Wi-Fi facility, in-room safety locker wardrobe, laundry service, round the clock room service, television, tea/coffee maker and an attached bathroom with complimentary toiletries. Complimentary breakfast during the stay is the other highlight. 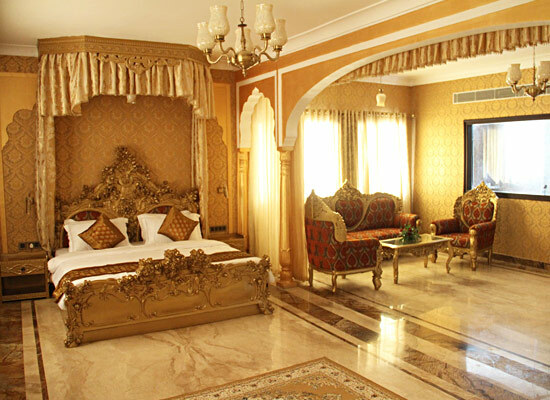 The air-conditioned, huge premium rooms comes have a warm and welcoming décor with comfortable furniture. Savor lip-smacking dishes during complimentary breakfast while you stay here. Some of the facilities and amenities here are television, round the clock room service, laundry, attached bathroom with slippers and bathrobe, mini-bar, wardrobe, in-room safety deposit locker, tea/coffee maker, king-size bed etc. The air-conditioned and capacious are the most luxurious accommodation option here, that have unmatched traditional interiors and offer impeccable hospitality. Complimentary breakfast during the stay comprises of the best delicacy spread. A huge double bed, television, tea/coffee maker, Wi-Fi facility, wardrobe, mineral water bottle, mini-bar, safety deposit locker, laundry service and room service are some of the conveniences here. The en-suite bathroom comes with bathrobe, slippers and other complimentary toiletries. 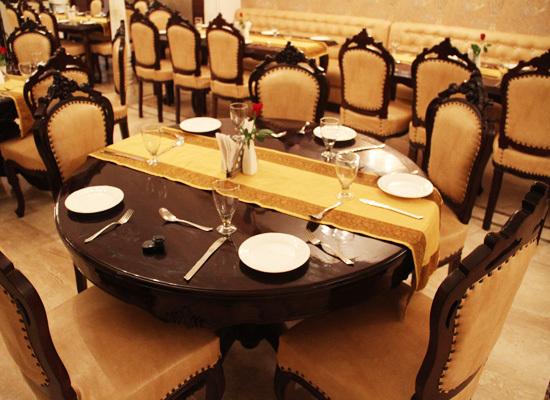 At Zaika, the guests can relish the delicacies of Indian cuisine, both traditional ones as well as some new dishes, mixing classical and eastern flavours. Relish light snacks and drinks while sitting under the starlit sky. 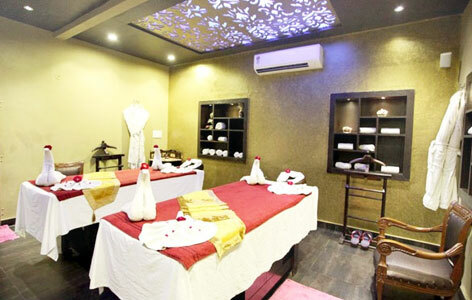 Enjoy sumptuous refreshments along with excellent services of the staff. Unwind at this well-stocked bar, that serves an amazing concoction of Indian and International brands of liquor and other non-alcoholic beverages. Admire the elegant and royal décor of the bar. Kids zone is the perfect place for kids where they can relish their special meals along with enjoying several kinds of entertainment facilities. There is a facility of baby-sitter as well. Founded in the year 1727, Jaipur is the capital as well as the largest city of the royal state of Rajasthan. Also famed as the ‘Pink City’, it is popular for its colourful vistas, rich history, magnificent structures, vibrant bazaars, handicrafts and more. A visit to its famous tourist attractions such as Hawa Mahal, Jantar Mantar, Amer Fort, City Palace etc is a must.